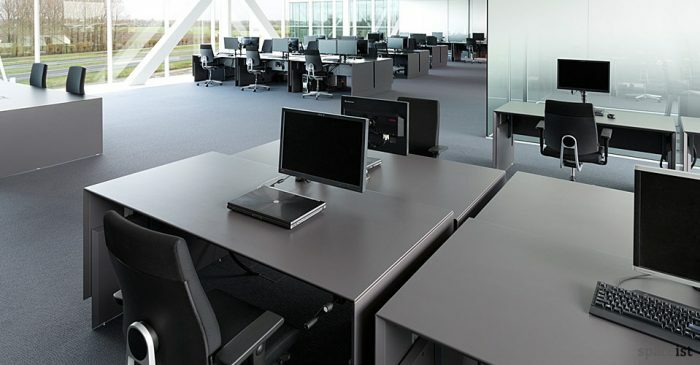 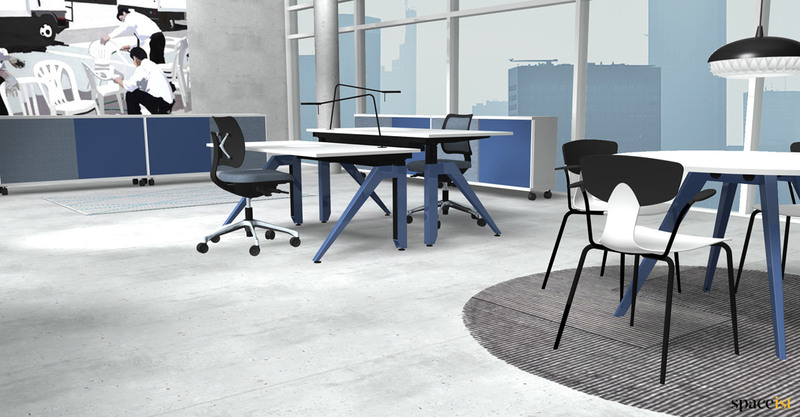 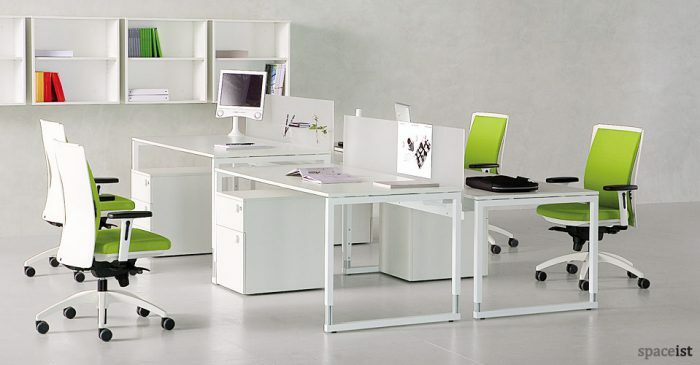 Categories: Standing desks, Height adjustable desks. 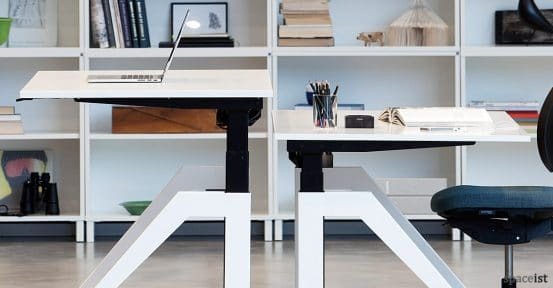 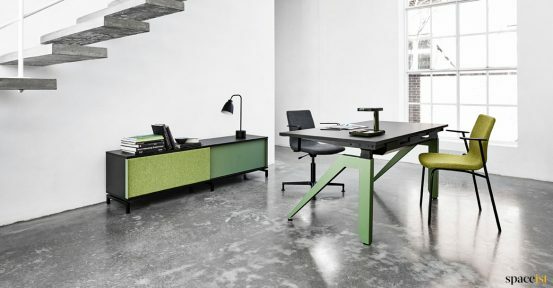 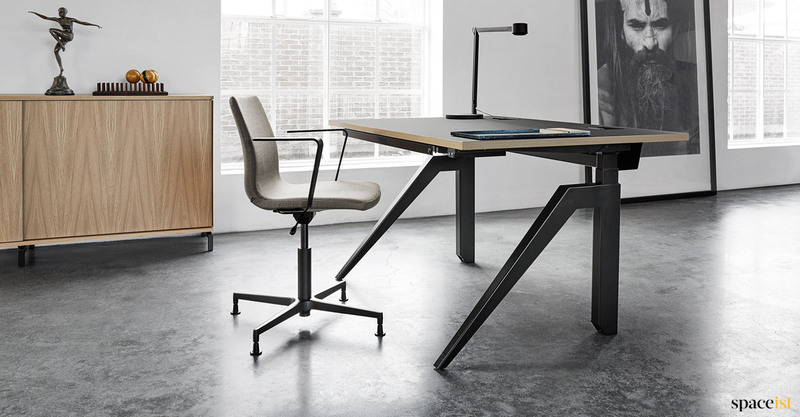 Combining classical Danish design with the ethos of a modern workplace, the Cabale standing desk offers a stylish option for creating a fluid workstation. 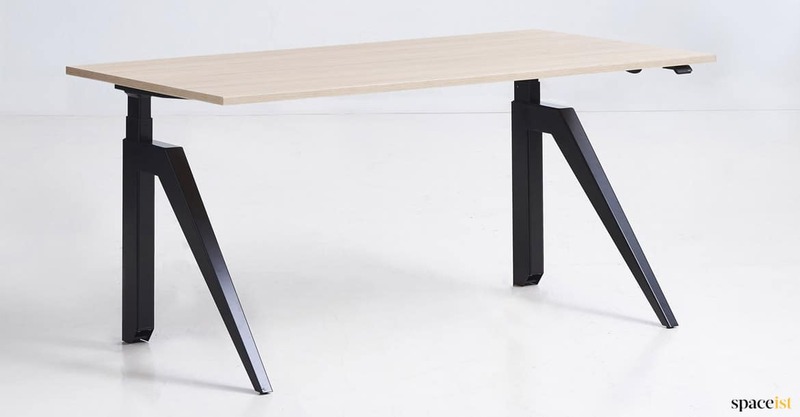 The distinctive feature is the angled base frame, made of solid steel fitted with an electrical height adjustment mechanism making it easy to convert the table from a height of 66 cm to 134 cm high. The wide range of laminate top options combined with either black or white base makes it possible to create a customised option. 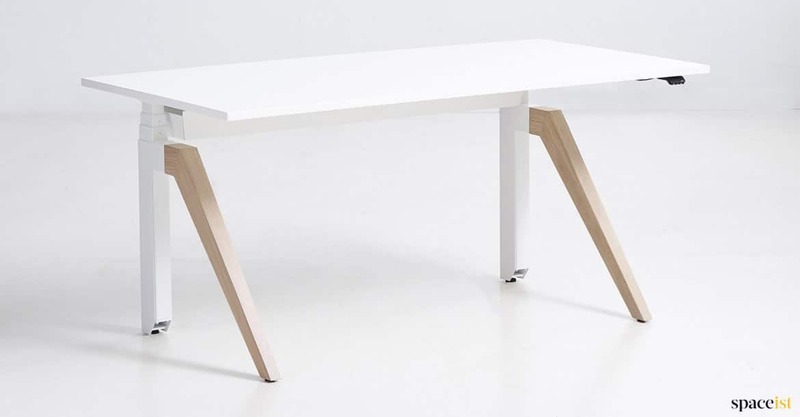 Up on request, special top and leg colours are also available. Third image shows special oak leg option. 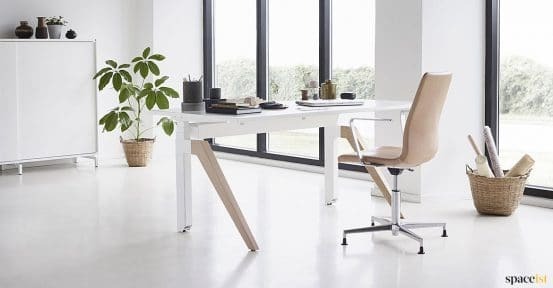 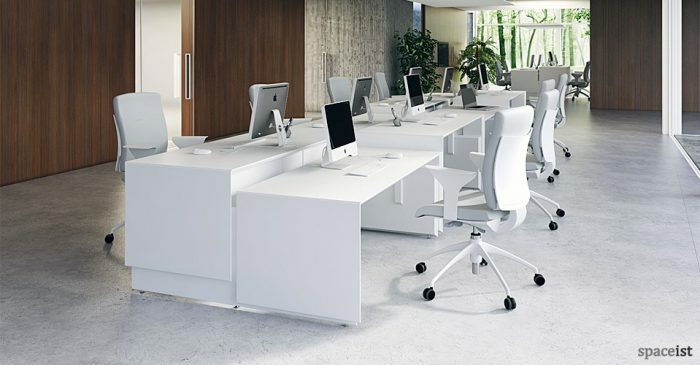 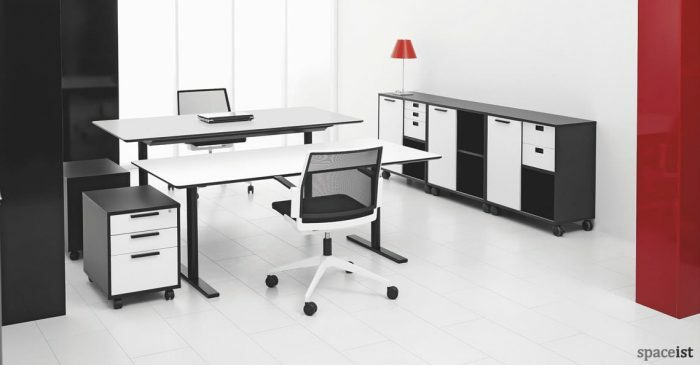 Height adjustable office desk in white, black, grey or oak. 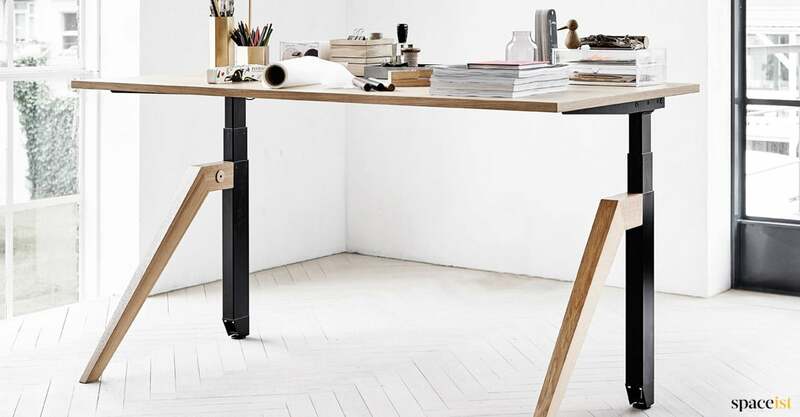 Matching table & high storage. 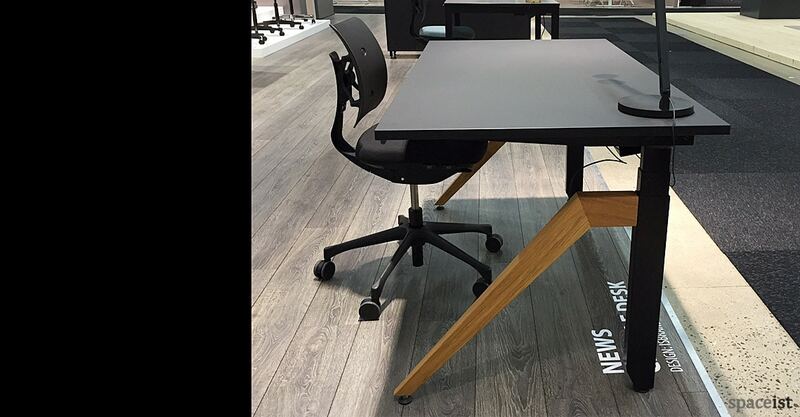 Electrically adjustable standing desk with standing height of 126cm in black steel base and black laminate top.